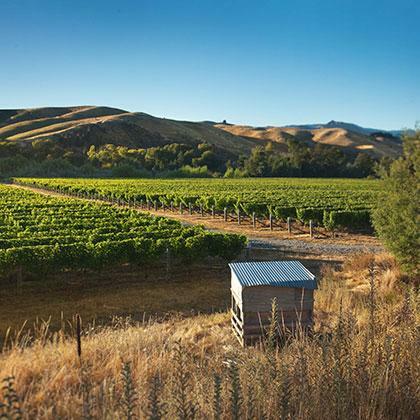 Kim Crawford Wines was launched in 1996 in a small home in Auckland, New Zealand. With incredible speed, Kim Crawford's powerful, aromatic wines began winning awards and gained a devoted, even fanatical, following. Only two years after launch, Kim Crawford Wines began exporting to the United States. Within four years, the company moved into a state-of-the-art winery in Marlborough and began looking at vineyards to purchase and cultivate. We strive to let the natural flavours of the grapes shine through in every glass you drink. We were one of the first wineries in New Zealand to launch our wines in screw caps because they keep wine fresher than corks. Now it is an industry norm. At a time when the world was flooded with oak aged chardonnays, we decided the world needed a clean, top quality, fruit driven chardonnay devoid of heavy oak, so we started making one. We only offer our Small Parcels in stellar vintages. Tasting Panel 91 “Smooth, lush citrus...but still as fresh, bright, and complex as the older renditions.”~ADB “ Classic Marlborough Sauvignon Blanc aromas of lifted citrus, tropical fruit, and crushed herbs. A fresh, juicy wine with vibrant acidity and plenty of weight and length on the palate. Wine Enthusiast 91"Hints of bay leaf and wild thyme provide complexity and lift to this dark-fruited, full-bodied wine. Black cherry, cola and mocha notes carry the midpalate, then finish with a velvety texture. Drink now–2018." Anthony Dias Blue 90"Juicy with bright peach, passion fruit and citrus. Crisp and fresh. Exuberant and long. Lovely." Winery Notes"Bright cherry and plum with subtle hints of vanilla oak. Filled with cherries and dark fruits. The wine has fine, well integrated tannins, a subtle savoury oak thread and good length and persistence. "